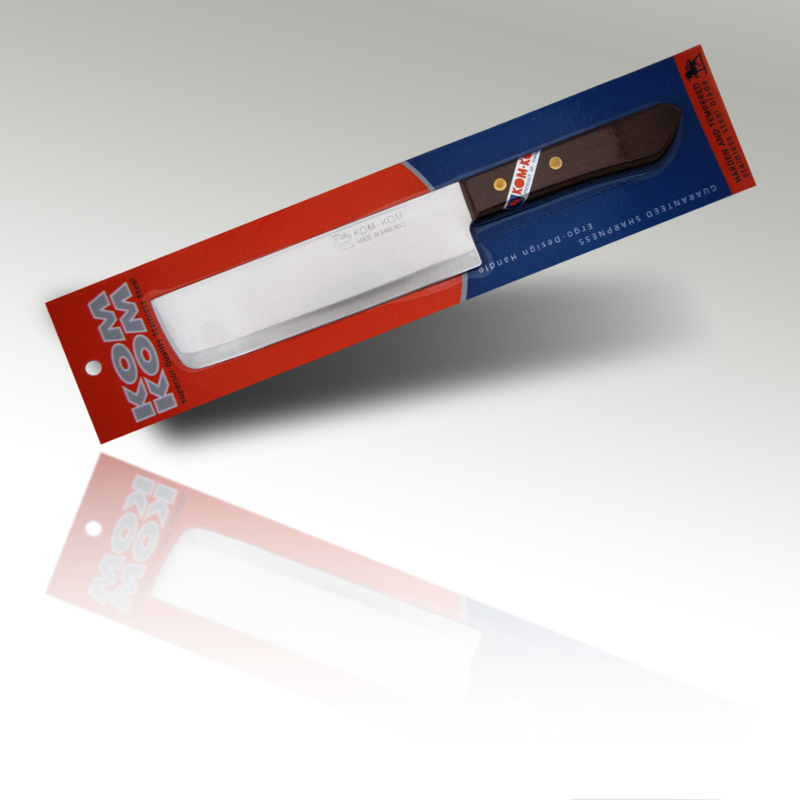 172kk - KomKom cook's knife with a seven inch, high carbon content blade and a quality hardwood handle. 7" cook's knife with a wooden handle. 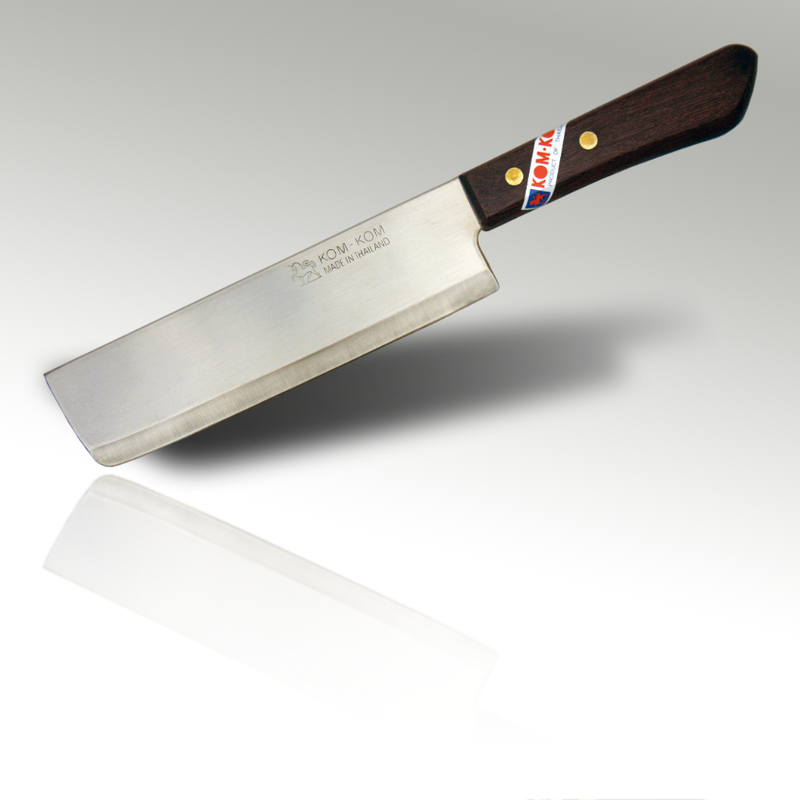 172 - Kiwi Brand 7" cook's knife with a wooden handle.